Choosing the right turbo for a given application is not an easy task. Many suppliers show compressor maps and turbine data for their turbos, and even though this may help the more experienced user, not everyone can easily determine the best turbocharger for their vehicle. Also, STK Turbo Technik recognizes that not all customer requirements are the same, and that is why we consider it best to look at each application individually. 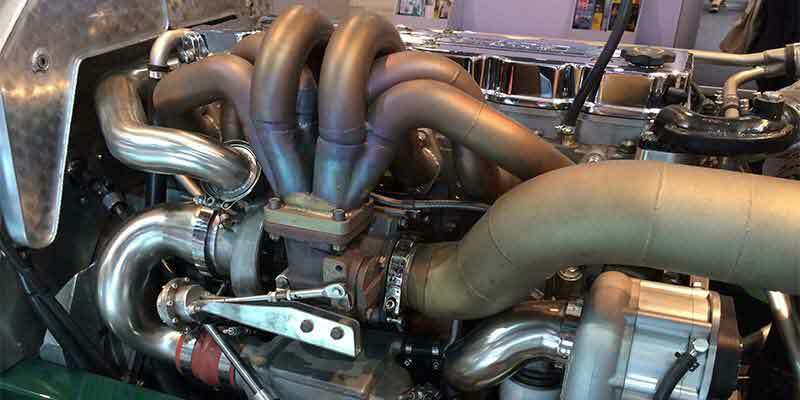 This way, we can ensure that we will supply the right turbo for your vehicle and use. Whether you want mild performance extensions, or substantial power and torque increases, STK Turbo Technik will work with you to research the right turbo for the job. This may be a rebuilt and blue-printed version of your existing turbo, a hybrid version, or a complete replacement with a new performance turbocharger. Since STK Turbo Technik has all the necessary technology in-house for turbocharger blueprinting, component design and fabrication, we can create one-off or short-run specials if you wish. Turbocharger theory is good for helping you determine some of the basic requirements of a turbocharger, but there is no substitute for real-world experience. This is needed to determine which turbo would work best with the current specifications of your vehicle. Supplying many Motorsport teams and street car users all over the world, with top class solutions for many years, STK Turbo Technik can help you to choose the best solution for your needs.